This is a great way to get extra protein and fiber into your customers diets, as well as your own and your family’s. 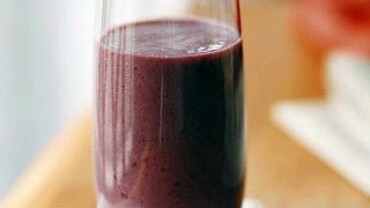 Ingredients 1 1/2 cups frozen blackberries 1 cup refrigerated mango slices (such as Del Monte) 1 cup (about 6 1/2 ounces) low-fat tofu (such as Silken soft) 1 cup orange juice 3 tablespoons honey Preparation Combine all ingredients in your blender; process until smooth. Pour and enjoy!